This is one of the many fundamental processes in business to prevent potential risks in business. The comprehensive approach of Enterprise Risk Management (ERM) allows firms to keep internal and external risks at bay, protecting the business from any harm. The process involves several steps however; it fulfills two key purposes for any business. Firstly, it identifies and categorizes all possible risks that a business is currently facing or will face in the future. Next, it creates a proper structure that enables the business to alleviate all possible risks while simultaneously maximizing shareholder value. Below are the main steps to implement ERM in a business. The first and the most important step is to assess the goals of the business and analyze the current standing of the firm. Also, it is essential to examine the relationship of the firm with its shareholders. Now that the internal and external circumstances of the company are clearly in front of you, you will be able to better identify the risks that the business may face and the source of those risks. You can list down the various risks that you think the business might be susceptible to and categorize them accordingly. The four basic risk categories are financial, operational, strategic and hazard risks. After all the risks have been classified under different categories, you can now analyze their intensity and measure the level of threat that they pose to the business. To examine the intensity of the risks, employ qualitative and quantitative analysis to approximately estimate the possible outcomes of each risk. With all the necessary data available, make a risk profile for your business that covers all the risks that you identified and analyzed in the aforementioned steps. 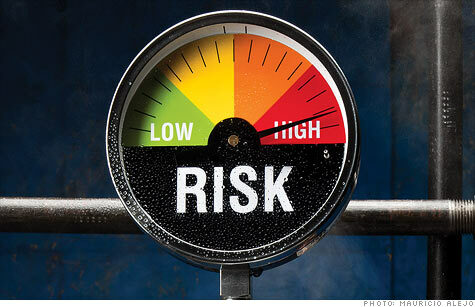 Study the risk profile carefully and prioritize all the risks according to their intensity. This is an essential step as it will enable you to see which of the risks need greater attention. After determining the risks that need to be taken care of on a more urgent basis, formulate strategies of best practices to avoid or transfer that risk or exploit it based on the goals of the company and the nature of those risks. Once you have started implementing your strategies, monitor your risk profile regularly to see the results and the effectiveness of the strategies that are being employed to alleviate risks. Record the results and use them to further improve on your strategies. Repeat the entire process of ERM from time to time in order to prevent your company from unpredicted risks.